The Utah Scientific Control Systems are powerful control processors designed to provide state-of-the-art functionality in configuring, managing, and operating Utah Scientific Routing Switchers, Master Control systems and third party equipment. User interface for the controllers is provided by a suite of software utilities that are specifically designed to allow the user to easily take full advantage of the sophisticated capabilities of these controllers. The SC Controller series has both the control and power to reliably manage Utah Scientific’s routers and master control switchers with every enhanced feature for the modern broadcast facility. All of Utah Scientific’s controllers include the GUI software suite for configuration, monitoring, comprehensive SNMP support, tieline management, system salvos, support for countless panels and multiple routing switchers. Together it all provides an entire package for the ultimate in system control. With the optional redundant control card providing mirrored redundancy, you can have a complete back up and protected operation for mission critical functionality. 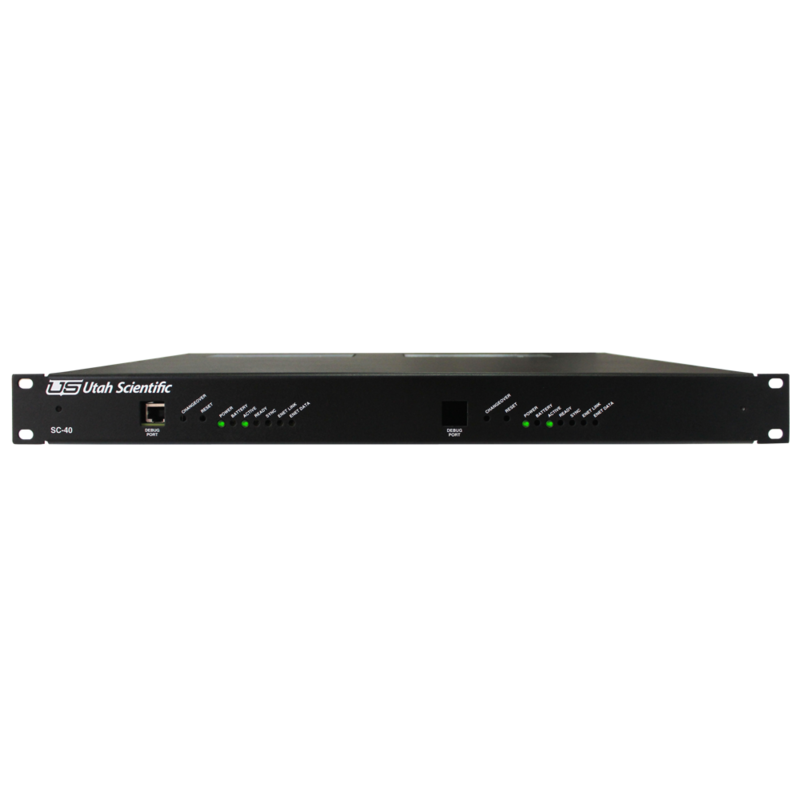 The 1RU SC-40E is our most cost effective controller. The SC-40E is designed to fit nicely with our economic UDS and UHD routing series while still providing all of the functionality and features our SC-400 mid range controller has.